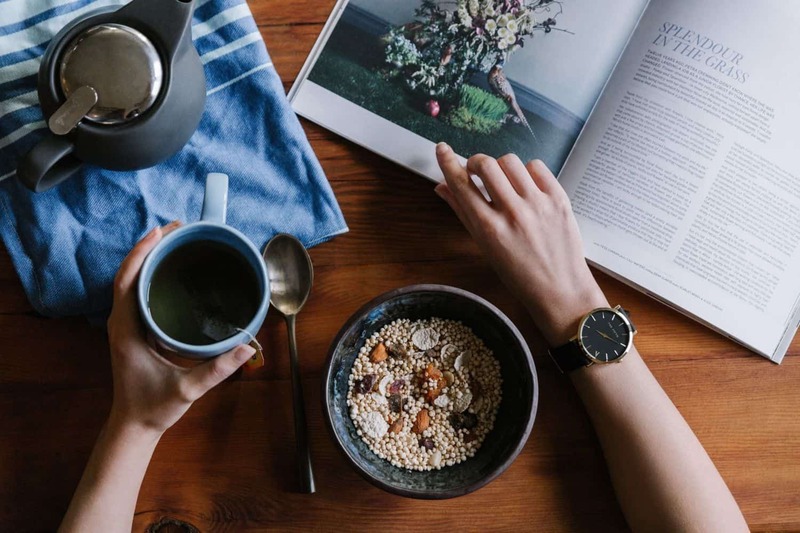 There are very few people who haven’t heard of overnight oats before but if you are one of them, there is no reason to be worried – here is a quick primer for you! The traditional method of making oatmeal is cooking it but not with these recipes. 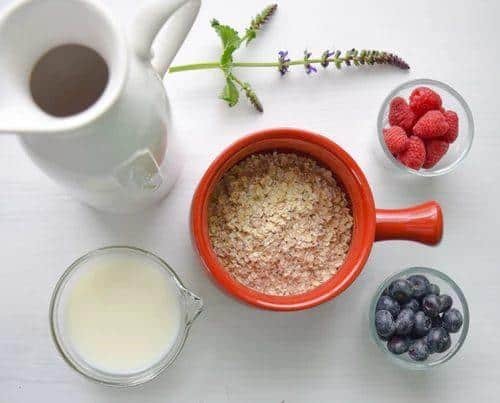 A great method of making oatmeal without actually turning on the heat, overnight oats do not need to be cooked by adding a liquid and being placed on the stove or any other source of heat. Instead, you simply mix the kitchen-staple rolled oats with the liquid and other ingredients and leave it in the refrigerator overnight. Once you are done following this method, you will be able to treat yourself with a dessert-like porridge in the morning, which makes for a great healthy grab-and-go breakfast. The oats will be more creamy and dense than a bowl of hot oats, making it even tastier. One of the key ingredients that are common in most type of overnight oats is Greek yogurt. It provides the dish with a degree of creaminess that makes it even tastier. While store bought Greek yogurt works well enough in these recipes, if you want to take your overnight oats to another level, you can try making the yogurt at home. Click here for everything that you need to know about yogurt making! Now let’s move on to some recipes that you can try at home! This first one is the most commonly tried recipe and makes a great base for a lot of experimentation. The ingredients are all basic and can be found at any grocery store without much of an effort. Put all the ingredients into a medium-sized mixing bowl and whisk together nicely. Use a spoon to transfer it into a jar that has a tight-fitting lid. Close the lid and refrigerate the oats mixture for at least 4 hours. However, it is recommended that you let the oats sit overnight before eating. The classic recipe is great for those days when you don’t want to do much but then are those days when we feel like putting in an extra effort and treating ourselves. For such days, this chocolate peanut butter overnight oats recipe may be the right option for you. It will make you feel like you’re treating yourself to a decadent dessert without actually affecting your health. Put all the ingredients into a medium-sized bowl and mix them all together. Get a jar with a tight-fitting lid and use a spoon to transfer the contents of the mixing bowl into the jar. Top it off with some chocolate chips and peanuts for that extra flavor. Close the lid and refrigerate for at least 4 hours, but it is recommended that you let the oats sit overnight before eating. If you want a midway option between the earlier two recipes, this one might just be the one for you. While it has the decadence of some chocolate chips, it retains the healthy feel of fruits. You can either use banana chunks if you like the texture, or mash the banana well before adding it if you prefer something smoother. Whisk together all the ingredients mentioned above in a medium-sized mixing bowl and then use a spoon to transfer the contents into a jar with a tight-fitting lid. Top it off with some additional chocolate chips. Close properly and refrigerate for at least 4 hours. For best results, let it remain overnight before eating. It can get tough to get children the recommended servings of dairy every day. If you are a parent who is struggling with ways to get your child to consume the required amount of calcium and vitamin D, this recipe is perfect for you. There is no need to add extra sugar as the berries will have a sweet taste but if your child prefers a little extra sweetness, you can always add some honey or maple syrup like in the other recipes. The recipe is a simple one. 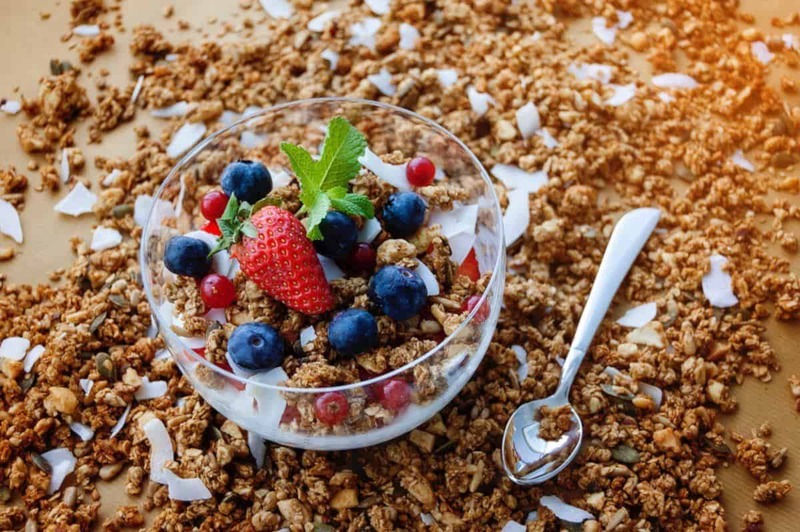 Just gather all your ingredients – including the yogurt, milk, oats, seeds, cinnamon and vanilla – except the berries and stir them together in a bowl. You can add a little sweetener if you’d prefer that. Use a spoon to divide the contents into different jars with airtight lids and top with berries. While refrigeration for over 4 hours would work, it is recommended that you let it stay overnight. When you remove the jar from the fridge, you can either mash the berries into the oatmeal if you prefer or just serve as it is. Another great option to try out if you like strawberries, this recipe is a wholesome one that can make for a tasty and healthy breakfast option. Mix together all ingredients in a large bowl and whisk together till the ingredients are fully combined. Transfer the contents into a jar, layering it with strawberries and strawberry jam or whatever you feel like adding. Top it off with some additional chopped strawberries. Cover the jar with a tight fitting lid and transfer to the refrigerator. Let it stay inside for over 4 hours, however, it is recommended that you let it stay overnight. 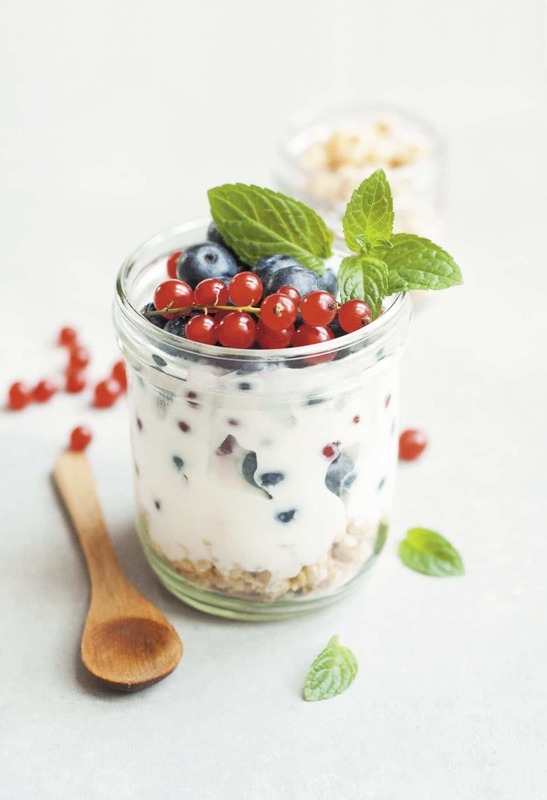 These jars of overnight oats with yogurt are full of a number of nutrients that aren’t just great to taste but will also keep you pumped through a day of work. These are also a great option if you are looking to ensure that your children’s daily nutrient intake is conducive to better health and growth. For example, the protein content of these oatmeal jars is very high not just because of the oats and the milk, but also because of the Greek yogurt that is added to each recipe. Oatmeal also has a ton of fiber that is great for the human body. In addition to this, the seeds bring up the already high nutrient content. If you choose to add fruit to your overnight oats, you will be able to get some natural sugars into your food without the stress of adding any unhealthy ingredients to your breakfast! Overnight oats with yogurt are healthy and hearty, but as discussed before, you can take them to another level altogether by making your own Greek yogurt. You can learn all about that right here. Happy yogurt eating!